B1739. 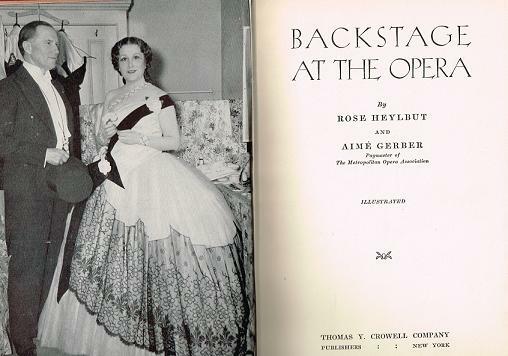 Rose Heylbut & Aimé Gerber. Backstage at the Opera. New York, Crowell, 1937 (First Edition). 325pp. Index; Numerous Photos. Exceptional copy of this First Edition. "Mr. Gerber is paymaster at the Metropolitan, but his revelations do not include fees. The stories are full of human interest, however, and there is much practical information on what makes the operatic wheels go round." 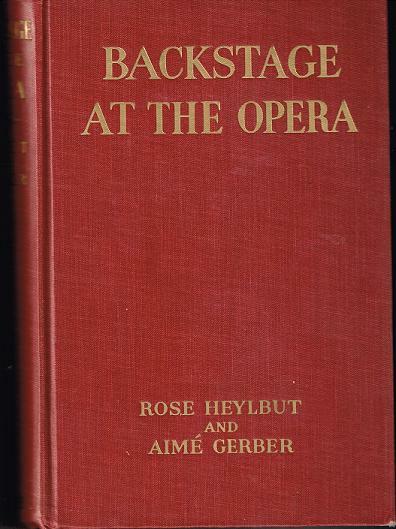 "Gossipy memoir of the Metropolitan Opera of New York, with many anecdotes of famous singers. This inside story of the MET is full of Opera history and personalities. And it tells how the Opera works."